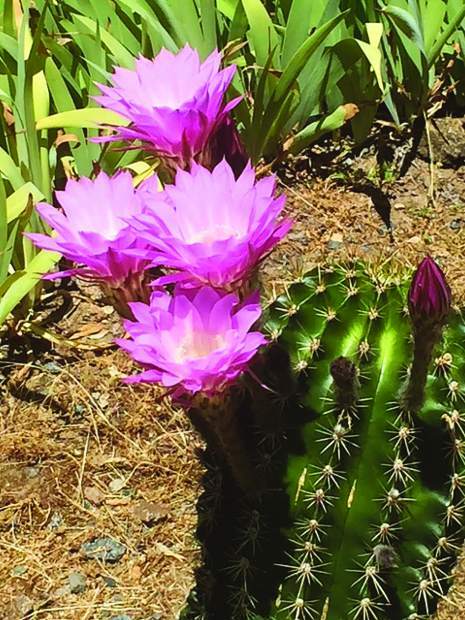 Cactus blooms in Lake Wildwood. 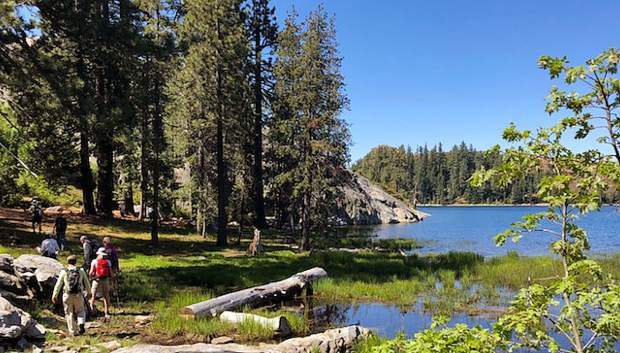 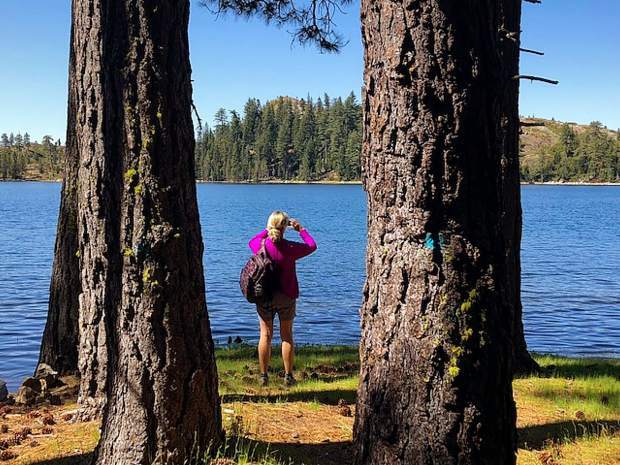 Views from a hike along the shores of Blue Lake off of Bowman Road which is off Highway 20, taken June 7. 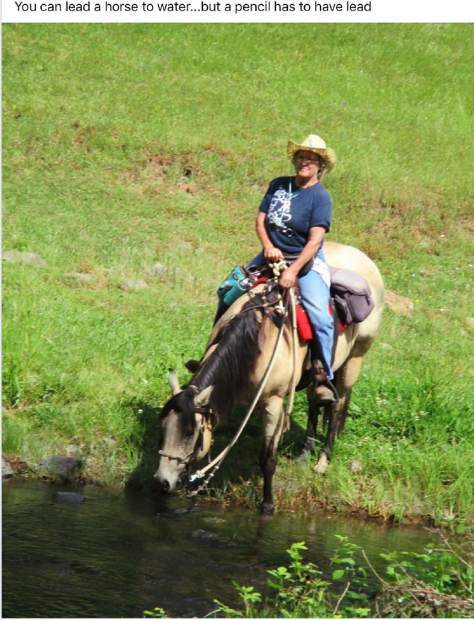 A horse and its rider on Cottage Hill Drive in Grass Valley. 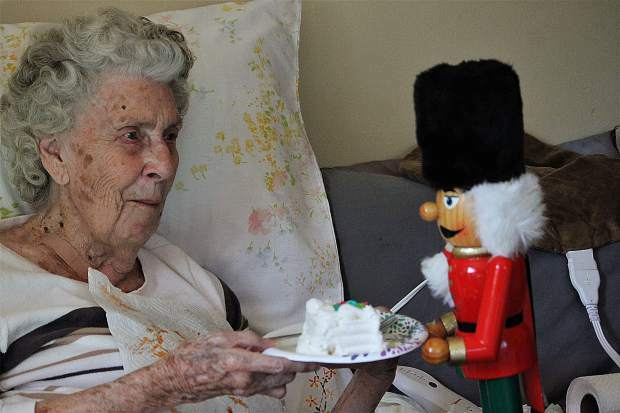 Nutty the doll bringing Dottie Lackey a cake for her 86th Birthday. 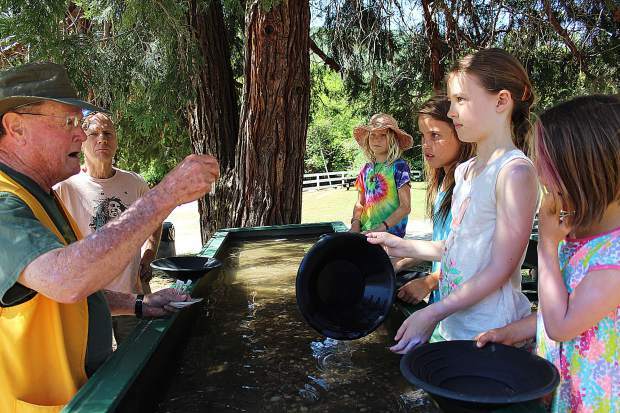 Kids learning about gold panning at the Yuba River State Park Friday.